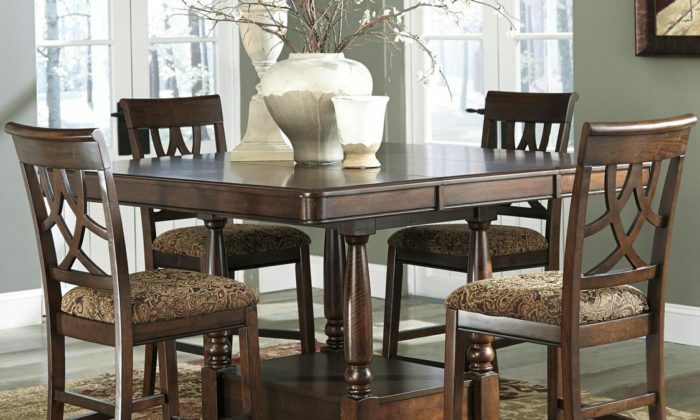 The D6004 traditional dining collection highlights a double pedestal dining table with immensely elegant upholstered chairs. 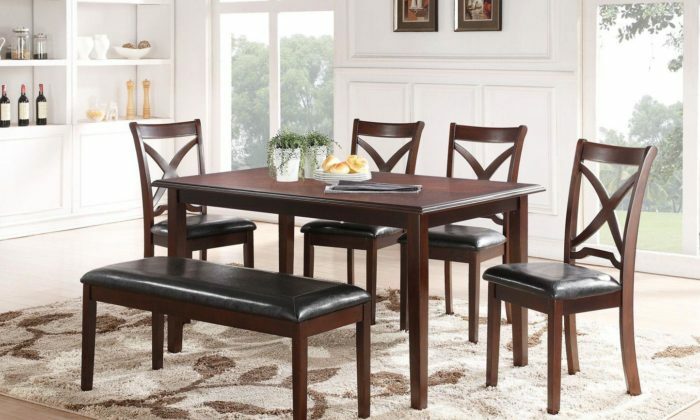 The table extends with the 2 x 18″ leaves included with the table. 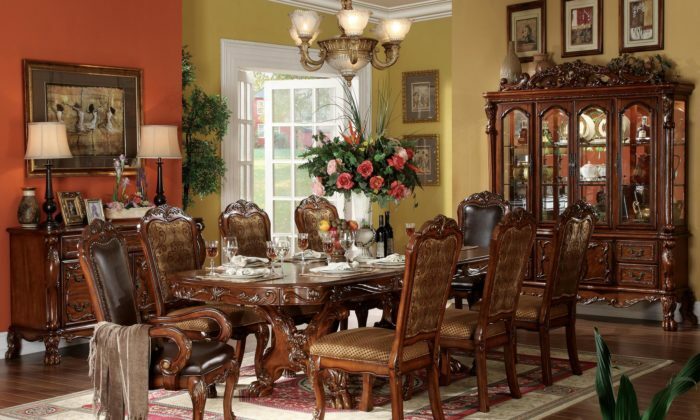 The side chairs and arm chairs features decorative accent carvings on the frame, base and feet; and chenille fabric seat upholstery. 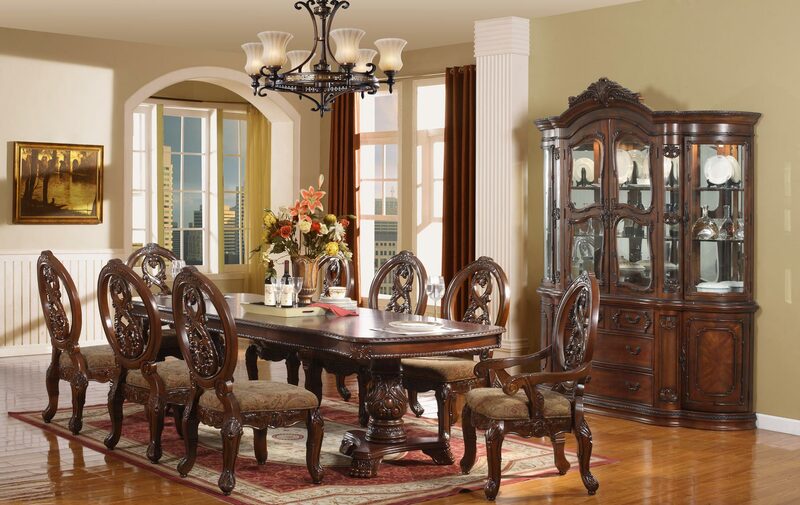 Matching sideboard made of the same all carefully selected design features as the dining collection. 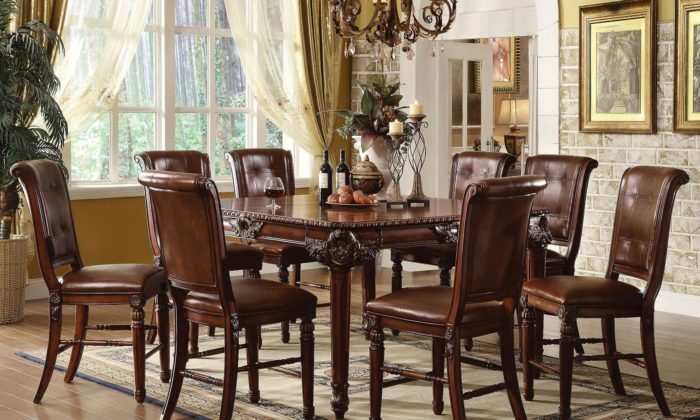 The D6004 collection is the perfect selection if you are searching for a grand and formal dining.